Nearly three decades ago, one man started a vision. Today, it has transitioned from a replica of European majesty to one with endless possibilities. Welcome to Infinity Farms! In 1990, Tom Long, a retired, self-taught aficionado of things French purchased 15 acres of gently rolling hills about an hour’s drive north of New Orleans in Carriere, Mississippi. Long was a long-time resident of New Orleans and the proprietor of the well-known Cuisine Classique shop in the Vieux Carré. He closed shop, and set about transforming a remote, treeless hillside into his personal version of an eighteenth-century French garden estate. The residence, only two rooms deep, was elaborately decorated throughout; the salon had chinoiserie details, and walls were hand painted with garden images. The dining room overlooked the rear garden through a wall of glass. Tom Long developed a flair over the years for informally advising people about how to design their houses. That imaginative sense of style found expression in both his country house and its garden. Tom Long eventually decided to sell the property. In 2006, New Orleanian Chris Judge, owner of Adda Carpets & Flooring, purchased the estate as a second home. Throughout the next eleven years, Chris put his own stamp on the house and gardens with exquisitely updating the gated entrance by lining it with fourteen sycamore trees, improvements to the front fountain and surrounding living walls. While leaving the integrity of the interior spaces intact, Chris updated the front windows and doors. Beautifully reclaimed hardwood floors now lay in the parlor and study. He also added a quaint guest cottage, swimming pool with spa and a second, massive planting of lush landscaping to the rear of the property. Chris said, “It was a labor of love and respite for eleven years. I’ve taken it as far as I can go.” He decided to move on to another project just twenty minutes “up yonder” (that’s how you say it in the country) to neighboring Poplarville, Mississippi. In 2017, Donna and Thomas Russell were considering a second home – a place of solitude that would bring joy to their family and to all who would visit. Through years of friendship with Chris Judge, the Russell’s were afforded the opportunity to purchase the property – being mesmerized by its beauty and expanse. Their home, endearingly named, Infinity Farms, became a reality on October 10, 2017. Riding on the coat tails of the previous owners, Tom Long and Chris Judge, all they had to do was add to…not redo! 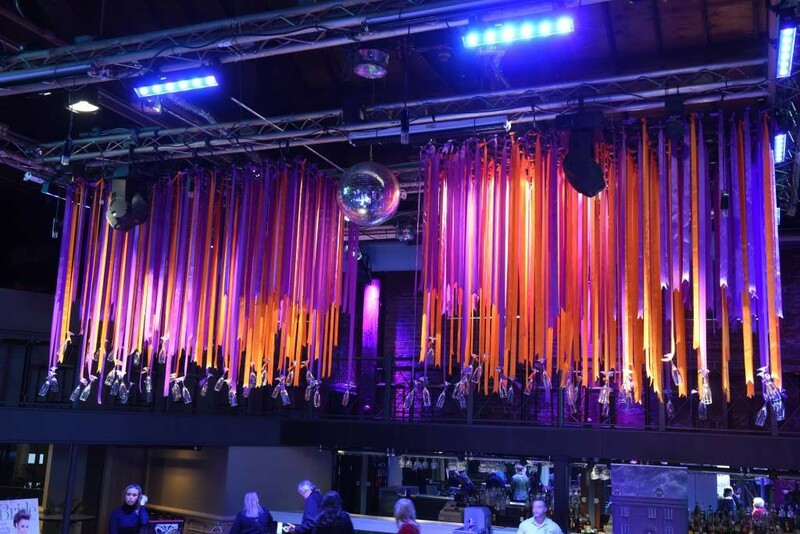 Donna Russell has over thirty years of business experience, most recently as an interior designer then formerly a freelance special events coordinator and working in the fashion industry. Tom is the owner of a thriving family, international shipping company with over forty years of business acumen, marketing and development. Shortly thereafter, the couple engaged the services of Marlene Thian, to assist with bookkeeping, marketing and office management. Her background is in fashion as well as over twenty years expertise in real estate, finance and creative production. Now, with expert vision and administration, Infinity Farms Event Venue has come to life! They invite you to enter the gates and feel the splendor. When you walk the grounds, you will experience a spiritual connection and know you have chosen a premiere, outdoor, exclusive location for your destination event. You need no other backdrop because nature provides the scenery – majestic palms, formal run, relaxation corridor, pool, patio and cabana, and 5-acre field. Choose one or all! Whether it is a private party, dream wedding, retreat or milestone, their dedicated staff and vendors will deliver the ultimate event. The privacy and uniqueness of Infinity Farms will surpass your expectations. 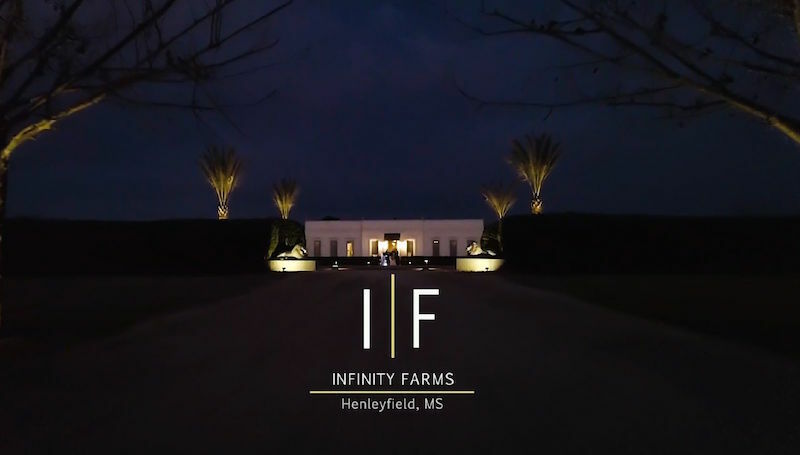 For more information on Infinity Farms, call (601) 552-8880 or email info@infinityfarms.com.